Whether you view West Virginia WV as the southernmost northern state or the northernmost southern state, when you need a 3D rendering design WV & graphic designer WV, Capital Exhibits is right where you need them. We provide high quality trade show booth concepts at an affordable price in Charleston, Huntington, Morgantown, Parkersburg, Wheeling and all surrounding areas. For more than 22 years, we have focused on providing quality and cost-effective 3D rendering design and print creative graphic design services for clients in WV. We also provide large format printing services on Vinyl, fabric, rigid and more. Capital Exhibits offers more than graphic design outsourcing – we want to learn all about your business and specific needs to build a complete branding design. By developing a better understanding of your business goals, we can utilize our 3D design & graphic art design services to build functional custom displays and eye-catching promotional products that truly represent your company. We can build packages for you that combine top-notch design with durable 3D design, exhibit displays that last show after show in WV. Also, see the difference it can make in your sales when you let us take care of the details. We provide brochure design work so that you can give potential clients some effective take-home material. We even offer custom tee shirt designs and business cards to promote your company. Finding the perfect combination of materials can be overwhelming, so don’t try doing it yourself – give us a call at (703) 339-9494 for a consultation with a sales representative. Do you already have logos or graphics but feel like you are missing that special touch only offered by professional graphic design firms? We can incorporate or adjust those existing graphics to fit seamlessly into your high quality exhibit design. We can also collaborate with your own graphic design ideas to cultivate some truly original concepts. 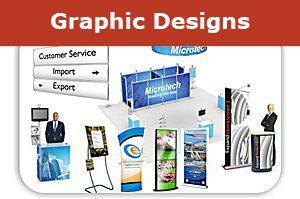 Capital Exhibits will bring your visions into a reality by using the latest graphic design trends & techniques. With our team of specialists in exhibition and fair graphic design, we will make sure you stand out at your next promotional event. 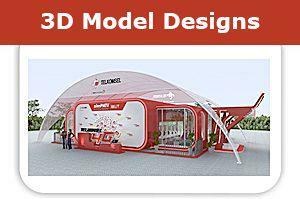 We understand the need to keep trade show marketing and exhibit structures within your budget. We can develop a materials and design package that is affordable and will be sure to positively impact your bottom line. Our in-house team of contemporary graphic designers is also able to cut down on turnaround time and maintain quality control. We’re excited to hear about your business goals. If you’re wondering about our graphic design quotes & rates, logo design prices or t shirt graphic design prices, don’t hesitate. Call (866)730-3746 to speak directly with a member of our team, or send us an email at [email protected].